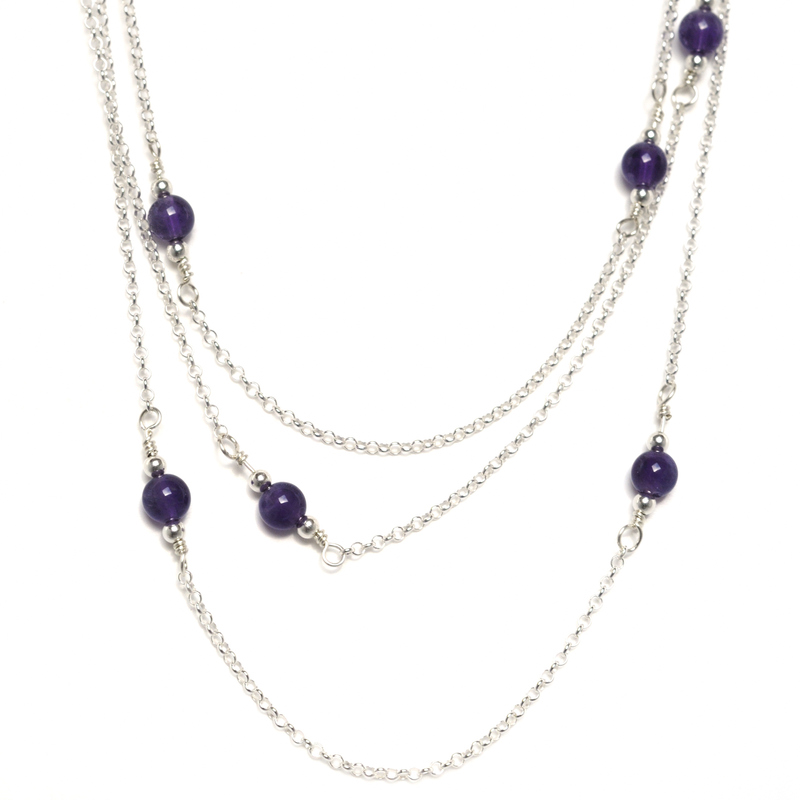 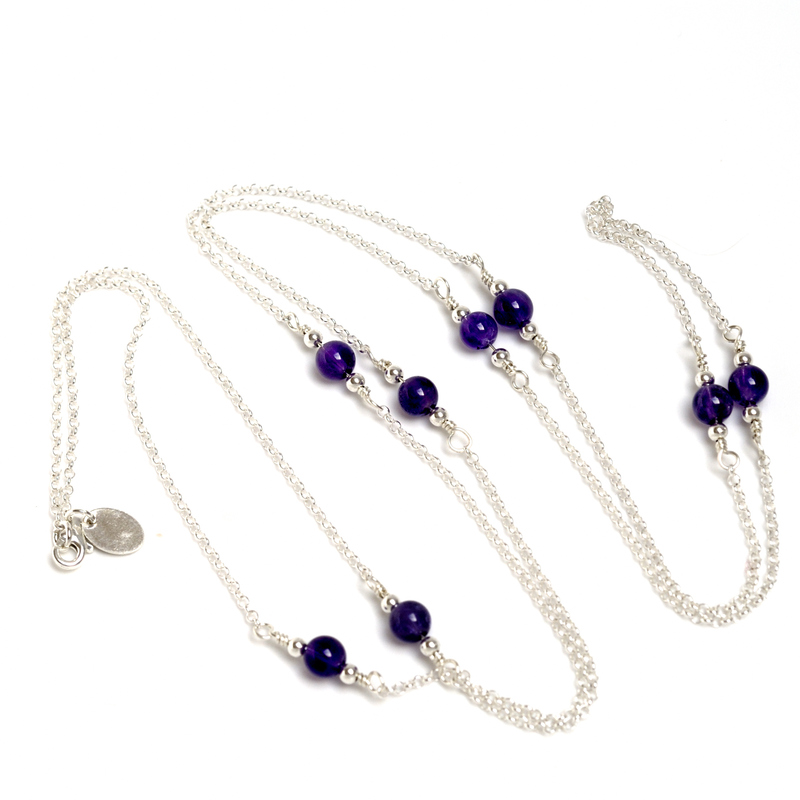 Distinguished necklace, with 8 Amethysts and sterling silver beads, on sterling chain. 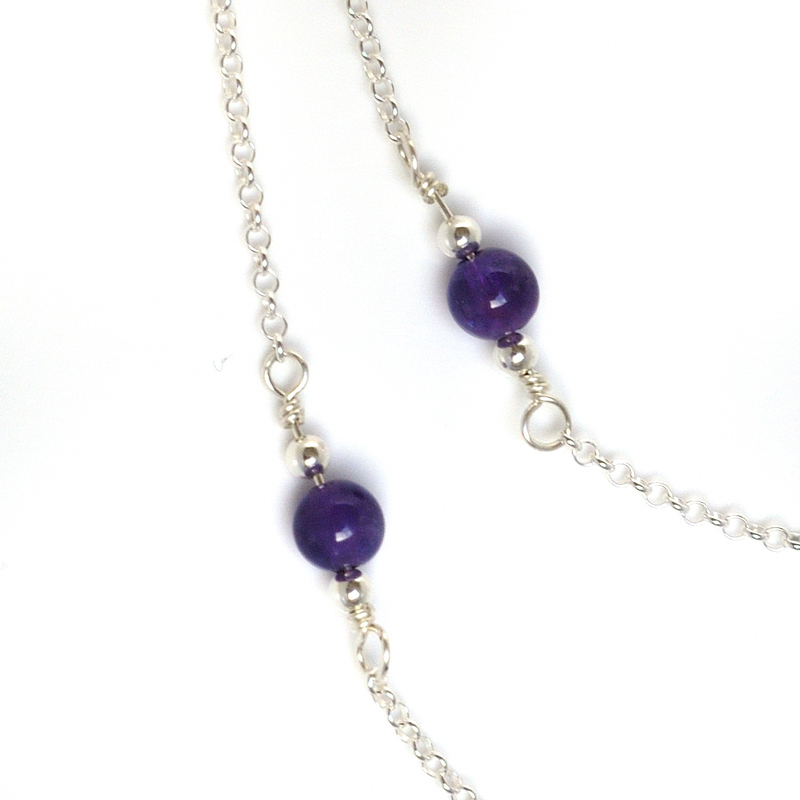 The Amethyst pearls are 6mm and the sterling silver pearls are 3mm. 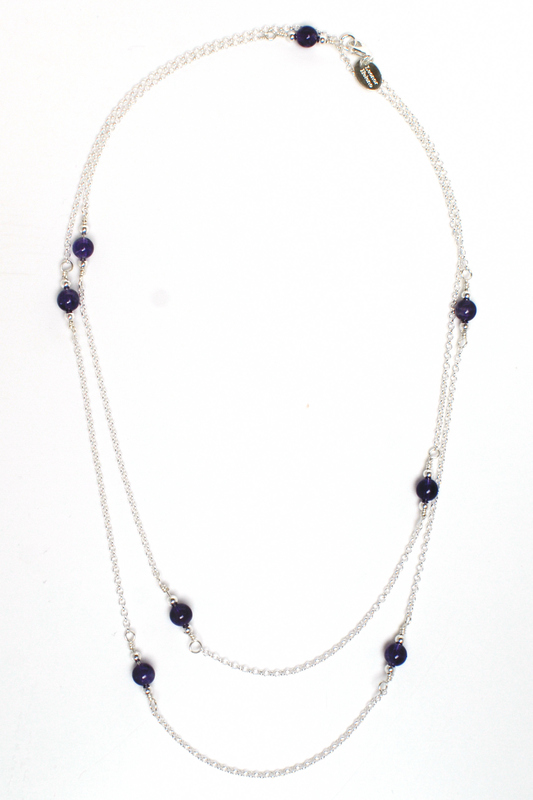 All wired on sterling silver wire. 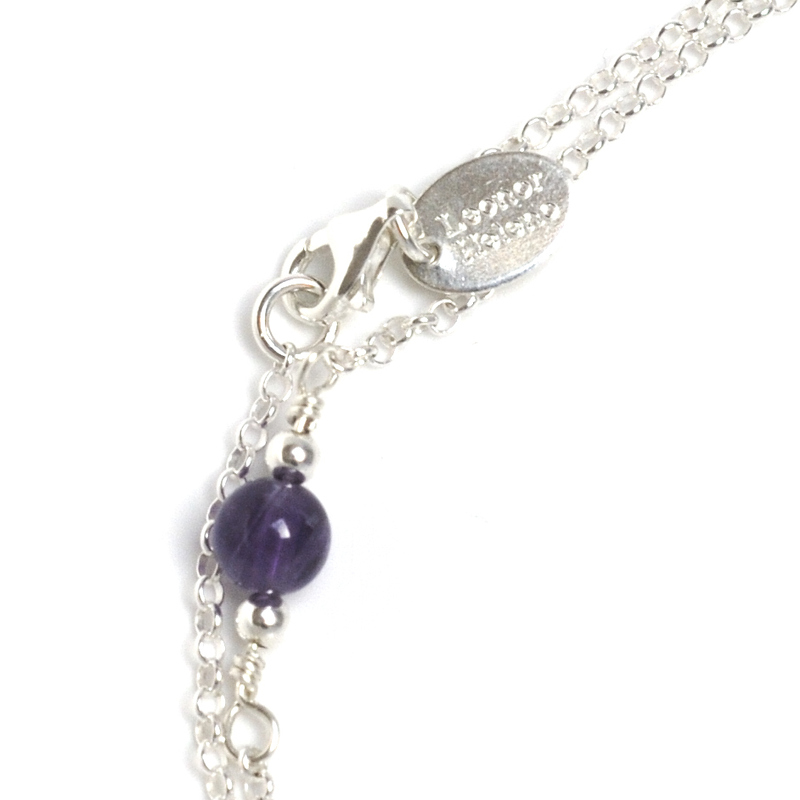 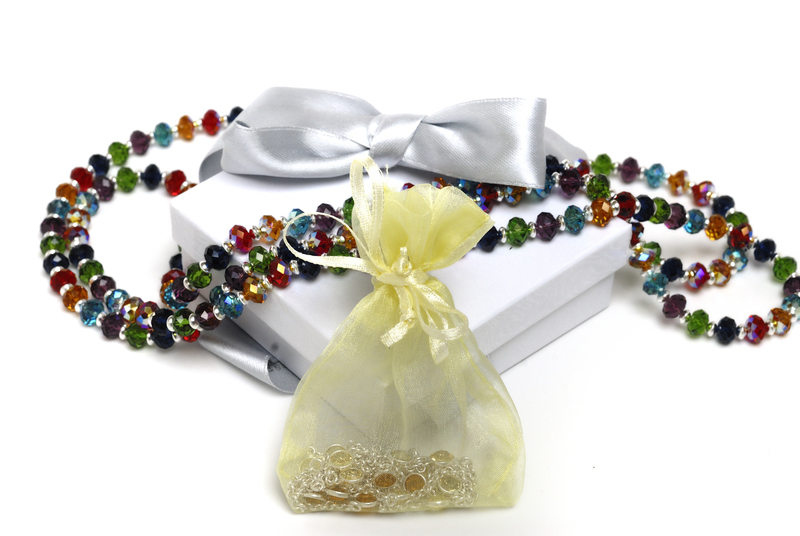 The necklace has a 9mm clasp. 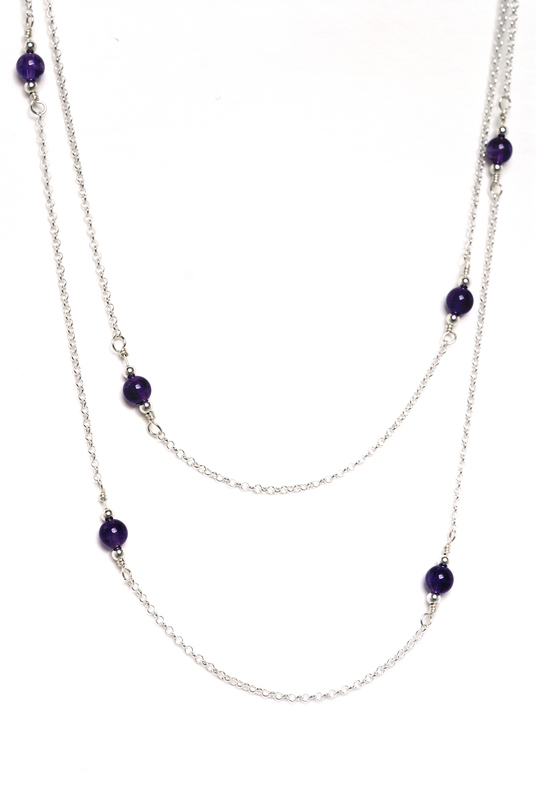 The colour of amethyst is perfect for spring and summer and will make your outfit look even more elegant!